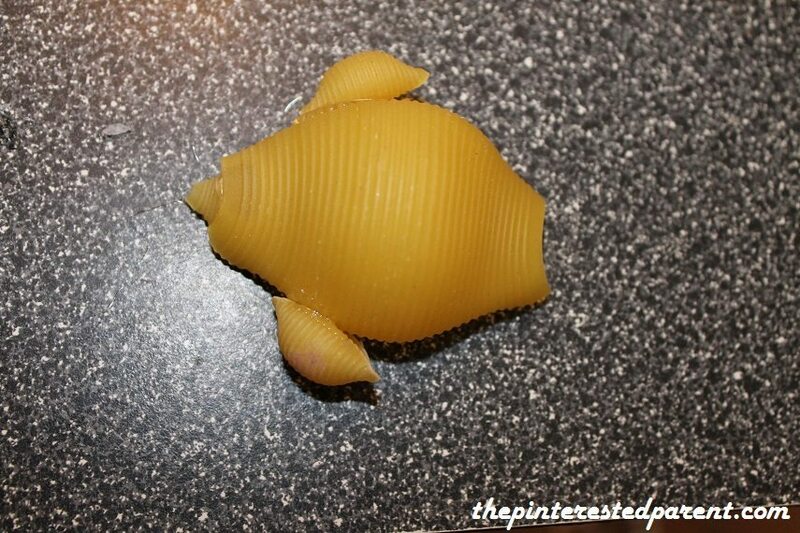 I am beginning to think that there is nothing that cannot be made out of pasta shells. 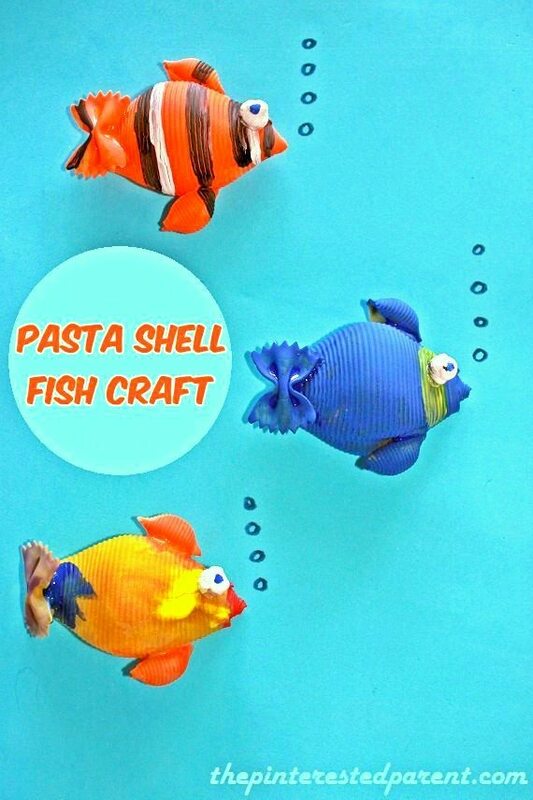 Because my daughter loves working with them just as much as I do, we are back with another round of pasta crafts. Tonight, our craft of choice is fish. To assemble your fish, glue a medium pasta shell into the end of the jumbo shell. Glue 2 more medium shells to the side of the jumbo shell to form fins. 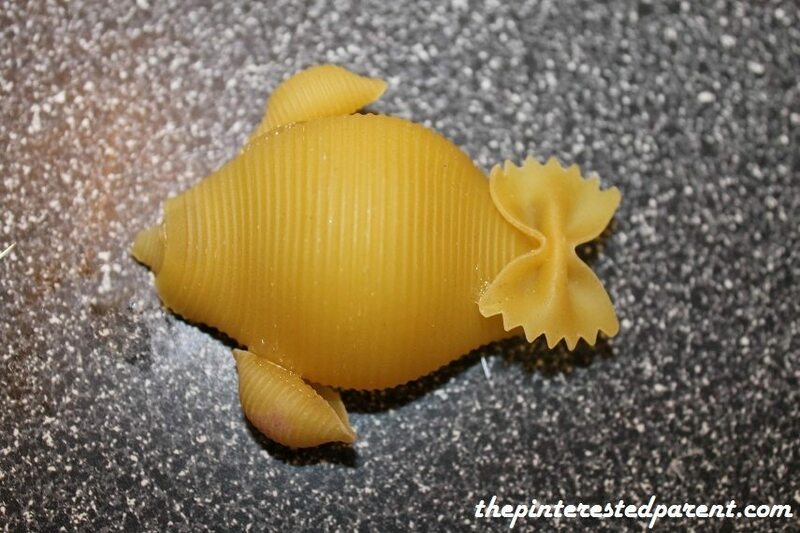 Glue a piece of bowtie pasta to the other end of the jumbo shell to form the back fin. Paint your fish with acrylic paints. 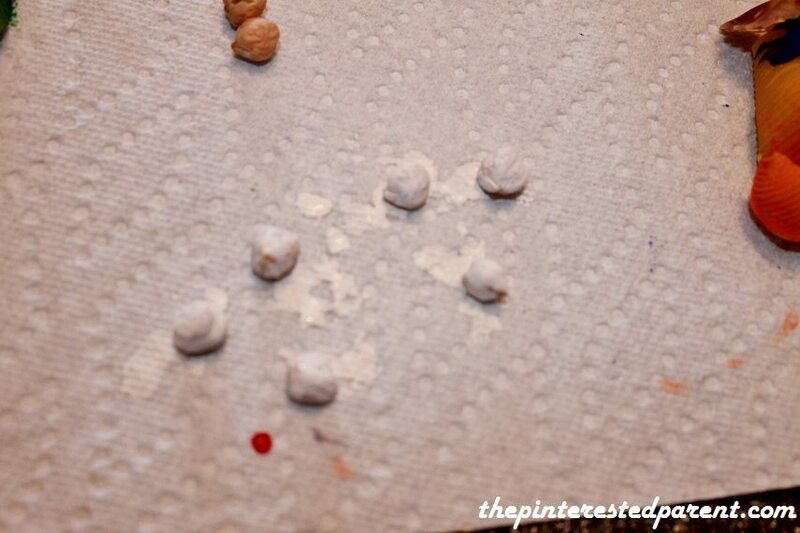 Paint a chick pea in white for each fish that you are creating. Add a black dot in the center for the eye ball. 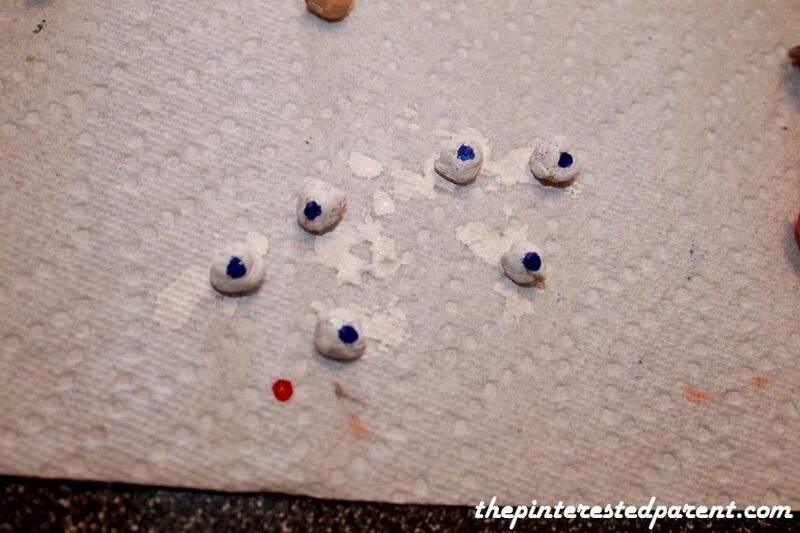 Glue the eyes to the painted fish to finish off the craft. I know I do. I can’t help it. There are too many possibilities. Lol! My daughter really likes working with them too. So cool and creative as always! Hi. Instead of a glue gun, can I just use elmer’s glue? will it hold? You can use Elmers, it will just take longer to dry and you might have to brace the fins in place so they don’t slide off. The Elmers once dry actually works better.